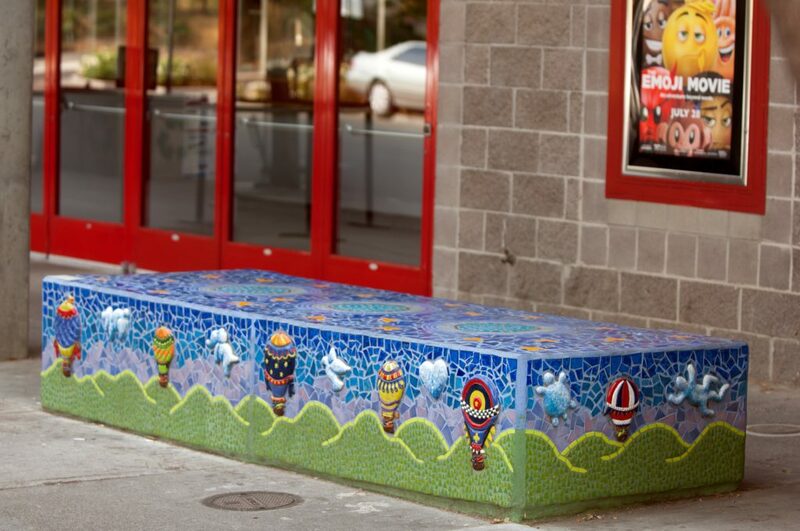 Balloons by Mark Rivera was designed to cover an old planter box in front of the movie theatre and bring it new life. It depicts several hot-air balloons gently flying above the fields of yolo county. The bench is now enjoyed by thousands of people going to the movies every day. This bench is yet another example of Rivera’s ability to create stunning mosaics that are so intricately detailed and influenced by sacred geometry, nature and the environment.